One of the most fascinating figures of seventeenth-century music, composer and singer Antonia Padoani Bembo (c.1640 - c.1720) was active in both Venice and Paris. 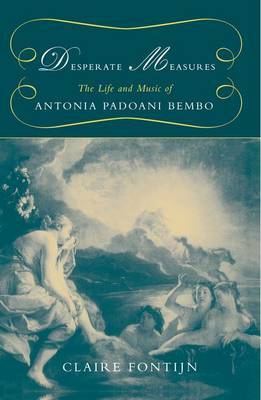 Her work provides a unique cross-cultural window into the rich musical cultures of these cities, but owing to her clandestine existence in France, Bembo's life was shrouded in mystery for almost three centures after her death. In this first-ever biography, Claire Fontijn unveils the enthralling and surprising story of a remarkable woman who moved in the musical, literary, and artistic circles of these European cultural centers.